Is the Internet of Things Going to Far? Have you seen the gold rush that has taken the technology sector by storm? A study discovered that 75 percent of executives surveyed said that Internet of Things (IoT) initiatives are currently underway within their organizations. That said, there’s still one question many companies have failed to answer — is more data always a good thing? Unfortunately, countless organizations may never strike that mother lode of data-driven insights that could potentially transform their businesses. Companies could be flooded by terabytes of data from sensors embedded in everything from assembly lines, to delivery trucks, to postage meters in the mail room. And not just from their own assets – but from their partners, from the surrounding environments, and even from customers, prospects, and employees with increasingly quantified behaviors and preferences. With this massive influx of data, many companies will have no idea what hit them. Strategies should focus on bounded scenarios – where a small collection of intelligent or connected devices can solve old problems in new ways or solve brand-new problems only approachable given the rise of the IoT. The solution lies not in the internet of everything, but rather the internet of some things, which may include brand-new investments in new “smart” assets. Or more likely, tapping into existing sensor networks and equipment with embedded intelligence which have been sitting idle. Contrary to popular opinion, not every device, object, or person needs to be Wi-Fi-enabled or embedded with other whiz-bang gadgetry. And as we connect, we also raise potential security and privacy concerns, especially when dealing with remotely controlled assets with limited physical security to prevent untoward access. Be secure, vigilant, and resilient – not just with the devices themselves, but with the seams between devices representing how they communicate, make decisions, and take action. Cyber should be a discipline considered from ideation through roll-out, helping to reach the point of acceptable risk. IoT efforts can learn from the hype cycle surrounding big data. Both are based on advances in technology that unquestionably drive business improvements. But, because of the grandiosity of what could be in scope and the magnitude of the potential impact, progress can be stalled while trying to solve for the big picture. Most organizations don’t need a grand unified theory of IoT – definitely not up front, likely not ever. Instead, focus on the small ball: concrete problems with purposeful intent. Strategies are meaningless without measurable outcomes. Before embarking on a mission to garner more data and more insights just because you can, make sure what you are enabling can be explicitly linked to improved business processes or impact. 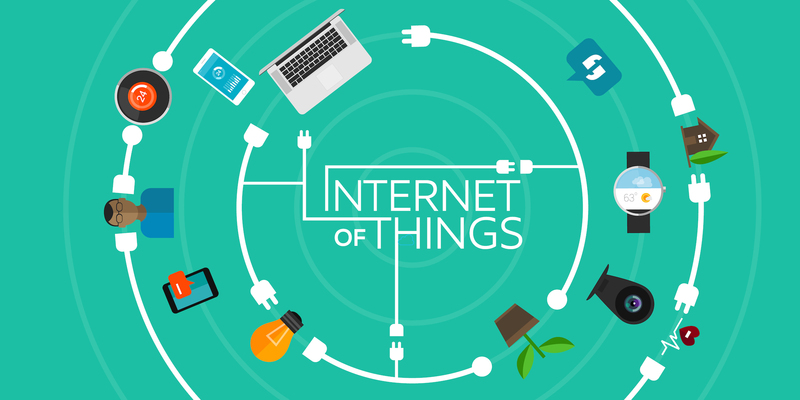 The IoT is about moving beyond pre-defined workflows, control scripts, and operating procedures. * Integrate information flow between varying types of devices from a wide range of global manufacturers with proprietary data and technologies. * Perform analytics and management of the physical objects and low-level events to detect signals and predict impact. * Orchestrate those signals and objects to fulfill complex events or end-to-end business processes. * Secure and monitor the entire system of devices, connectivity and information exchange. With these capabilities in place, companies can elevate IoT beyond the simple collection of information to using a tapestry of devices and signals to do something for the business. It shifts the focus from the novelty of connected and intelligent objects to business process and model transformation. Perhaps more important, it can help strategists, IT project leaders, and executive decision-makers refine their approaches to and understanding of IoT to create greater value. As many organizations currently undertaking IoT initiatives are discovering, the goal should not be to create the Internet of Everything; it should be to construct a “Network of Some Things” deliberately chosen and purposefully deployed. The IoT gold rush continues apace, driven by machines that decouple our awareness of the world from mankind’s dependency on consciously observing and recording what is happening. But machine automation only sets the stage. Real impact, business or civic, will come from combining data and relevant sensors, things, and people so lives can be lived better, work can be performed differently, and the rules of competition can be rewired.